Nierman Practice Management is excited to appoint Dr. Mayoor Patel as the new Clinical Education Director, responsible for overseeing program content and supporting the 2015 education faculty. We are thrilled to have Dr. Patel on our team, as we are devoted to partnering with dental sleep medicine professionals to continue to expand our services in this area of dentistry. 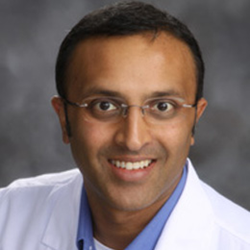 Well-known Dental Sleep Medicine specialist and lecturer, Dr. Mayoor Patel joins Nierman Practice Management as the Clinical Education Director to further help dentists expand their dental practices. Dr. Patel has over 20 years of experience in dentistry, and continues to expand on his experiences through the implementation of lectures and continuing education in the area of Dental Sleep Medicine and Craniofacial Pain. Dr. Mayoor Patel received his dental degree from the University of Tennessee in 1994. After serving as a dentist in general dentistry practices in Norcross and Duluth, GA, Dr. Patel went on to receive his Masters in Science from Tufts University in 2011. Since then, Dr. Patel is a Diplomate with the American Board Of Orofacial Pain, American Board of Craniofacial Pain, American Board of Dental Sleep Medicine and the American Board of Craniofacial Dental Sleep Medicine. Additionally, he serves as the Examination Chair for both the American Board of Craniofacial Pain and American Board of Craniofacial Dental Sleep Medicine. Dr. Patel is a board member with the Georgia Association of Sleep Professionals and the American Academy of Craniofacial Pain along with numerous other fellowships he has received in an array of areas that allow him to accurately and properly treat TMD, orofacial pain and sleep apnea in his practice. In addition to his extensive continuing education, Dr. Mayoor Patel lectures both locally and nationally to the dental and medical communities in the area of Craniofacial Pain and Dental Sleep Medicine. As an expert in both areas, Dr. Patel continues to work with dentists to help them better understand the treatment of these conditions within their own dental practice. “We are thrilled to have Dr. Patel on our team, as we are devoted to partnering with dental sleep medicine professionals to continue to expand our services in this area of dentistry. It is through his commitment and unwavering dedication to this industry that we decided to appoint Dr. Mayoor Patel as the Clinical Education Director. We look forward to continuing to help dentists and their teams around the country successfully implement dental sleep medicine into their practice.” said Katy Nierman, President and COO of Nierman Practice Management. Nierman Practice Management Education strives to maintain a reputation of experience, quality and dedication. Our 26-year standing mission is to be a long-term partner in implementing and expanding medically necessary services for dentists. The number of patients treated and medical reimbursement obtained are our greatest measurements of success.